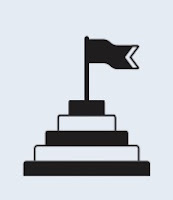 For almost every travel brand, their marketing and sales funnel is extremely porous, with consumers dropping out at every stage and low numbers eventually turning into bookings. 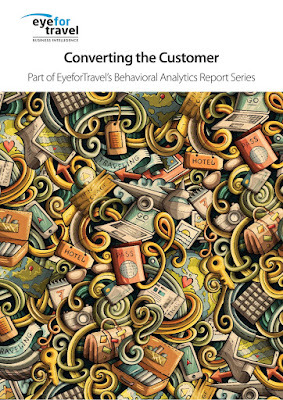 Pushing up conversion rates isn’t straightforward either, find EyeforTravel’s new Converting the Customer report, which is free to download now. To succeed, designers, webmasters and analysts will need to be ready to take a journey into the sometimes illogical and counterintuitive world of marketing and sales psychology. http://1.eyefortravel.com/LP=21727?extsource=prUnderstanding what does and doesn’t work all starts with a strong base in thorough testing. Steven Consiglio, product performance manager at Booking.com, said that it always has “countless, ever-present” different versions of its site on trial and uses A/B testing to measure the success rate of one version against another. Product choices and menus are also a place where travel brands need to apply testing and psychological know-how. Normally, putting in more product choices and steps before the final checkout leads to noticeable drop out at each stage and reduces conversion and revenues. However, by optimising the choice presented to the consumer, there are times when this is not the case and counterintuitively the opposite is true. Take easyjet for example. They introduced new baggage options in 2018, offering consumers 15kg, 23kg and 26kg hold bag choices. This would seem to go against the grain of reducing cognitive load for the consumer by adding more choices in this instance. However, through site optimization, menu design, and some clever psychological pricing, this is paying off. Whilst the jump from a 15kg hold bag to a 23kg hold bag costs a few pounds or euros, the 26kg bag cost over 60% in the example we looked at on their website in August 2018. This is a classic pricing trick that makes the consumer assume the middle option is the best value, with the 26kg option essentially a redundant option, and the 15kg option acting as an anchor price to emphasise the value of the 23kg hold bag. These are all examples of why it is important not to assume your logic is the same as the customers and to examine any attempt to lift conversion through comprehensive testing. Whilst changing small items, such as the colour of the call-to-action, the position of menu items, or the wording behind ancillary sales items, can seem small and nonsensical, adding them all up can make a real difference to the bottom line. It therefore pays to test the counterintuitive and go against your instincts in the pursuit of higher conversion rates. As the travel industry moves into new digital arenas, four of tech’s biggest brands; Facebook, Twitter, Pinterest & Google, have confirmed attendance at the EyeforTravel North America Summit - to take place on October 18-19 at the Mandalay Bay in Las Vegas. With the likes of Wyndham Hotels & Resorts, Marriott International, American Airlines and Accor Hotels also appearing on the speaker line-up, the 20th Annual North America Summit is undoubtedly the year’s most prestigious travel conference. Meet the biggest names in tech and gain a stronger understanding of how to enact an effective social media and content marketing strategy. Hear from those travel companies succeeding in integrating the latest technological innovations into their business plans and learn how they have used these tools to capture data, own the booking and boost profits. Click here to view the line-up of the year you just cannot afford to miss! What will the tech giants be covering this October? · Facebook’s Industry Manager for Travel, Kate Hamill will be covering the power of open API partnerships and evaluating the best distribution partnerships required to diversify your revenue portfolio. Joining her in this session are CIE Tours’ CCO, Susan Black, and Hotwire’s Director of UX Research, Clay Newton. · Pinterest’s Vertical Strategy Lead for Tech, Travel, & Telco, Nicolette Harper and Sakshi Chadha, Partnerships will uncover how travel brands can use Pinterest to capitalize on pinners who are actively looking for recommendations and how marketers can use Pinterest to inspire consumers across every aspect of the travel journey, from dreaming to planning and ultimately booking. · Twitter’s Head of Travel & Mobile App Partnerships, Erin Gilmore will be evaluating how the mobile interface can be used to maximise personalisation and develop a stronger sense of brand awareness among consumers. She will be joined by Michael Childers, Chief Consultant in Content & Media Strategy at Lufthansa Systems. Click here to receive the latest speaker and agenda updates! Just as the speaker line-up continues to make strides, so does the attendee list, which is becoming increasingly populated by big industry players. Among the latest brands to confirm their attendance are Expedia Group, Copa Airlines, Accor Hotels and Royal Resorts. Numerous networking opportunities will take place throughout the duration of the event. EyeforTravel are using the event app Brella this year – enabling attendees to set up meetings well in advance to make the most of catching up with industry representatives. PS. The early bird discount has been extended for one more week due to popular demand - contact the team directly at renu@eyefortravel.com to secure your discounted pass and save $200! EyeforTravel’s new Converting the Customer report reveals six key tactics to push your site’s visitors from lookers to bookers. 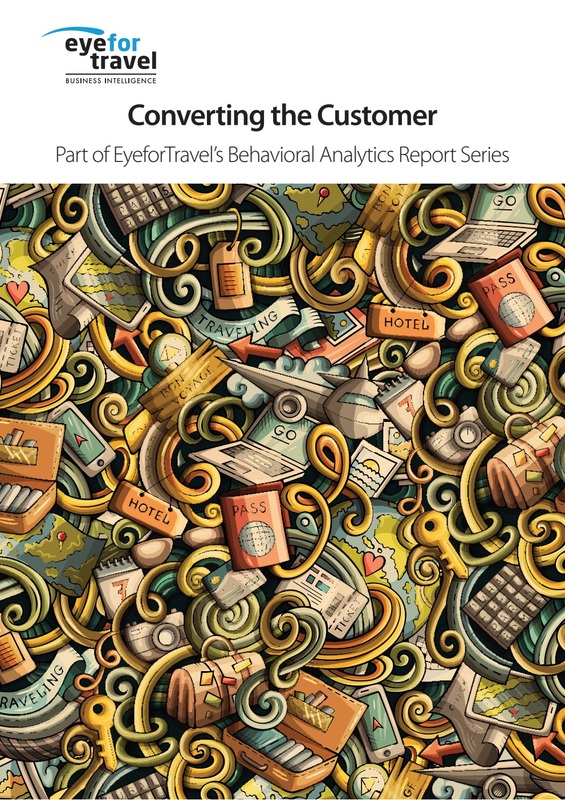 Converting a travel customer is a tricky business for any brand but EyeforTravel’s new Converting the Customer report, which is free to download now, is here to help with six key tactics that will help you go from booking bust to a conversion king! What will and won’t succeed in increasing conversions when it comes to site look and layout is frequently not obvious and often frustratingly irrational. A/B testing is a must in this arena, as even the most adept of web designers may miss out on a conversion positive tactic. Note that you will need good levels of traffic to the test pages, especially for more subtle changes to avoid freak results or misleading conclusions. Once customers have reached checkout, keep it to crucial information only, or even confirm the booking and look at payments later in the case of hotels or tours and activities. This is especially true on mobile as reduced real estate makes it harder for the customer to enter details and move through stages. “On mobile, we have found that entering in credit card information, and/or address details, overwhelmingly became the highest bounce rate,” says Steven Consiglio, product performance manager at Booking.com. “It was a tremendous [source of] friction once you already shrink the screen and shrink the steps to book.” So, the business created a product to allow hotels to waive the need for a credit card to be entered, in certain circumstances. “It has a huge conversion-positive boost [for] last-minute [bookings],” he adds. If consumers drop off for every extra hurdle they have to jump then why put them there? Keep your extra products simple and make it obvious what the benefit is to the customer at every single stage. If at all possible use previous sales data, intent information and cookie tracking to find out what products are most likely to be taken up by the customer and also an optimal pricing level. 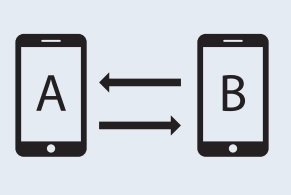 To return to testing again, run an A/B test to see if trying to sell an ancillary product is genuinely conversion and revenue positive versus not offering it or offering it more subtly. Small page changes or product variations can lead to big jumps. All of these points are really about keeping friction down for the customer at every stage of their journey. Think about user intent at each stage and what would get them to their desired outcome as fast and accurately as possible. ““We recommend taking a look at average order value and revenue per variation,” explains Sam Nazari, head of solutions engineering at Sentient Technologies. “Maybe you increase your overall conversion rate but AOV and revenue goes down, so you need to take account of that. Typically, as a best practice, removing any kind of distraction that takes the user away from going to the end of that funnel and converting, is always a good idea.” Nowadays it is very cheap to run user testing through on-demand services that can source large number of remote testers at short notice. Some have even taken it further, with Expedia running its own in-house user lab. Just because the customer dropped off, doesn’t mean they are gone forever. Indeed, the majority of final bookers will return to the product they last viewed or a similar one. This is a golden opportunity to close the deal. 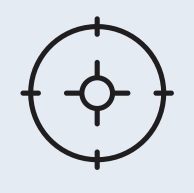 If you can track and retarget them then you are increasing your probability of conversion. While using banner ads is an established tactic, you can now get even more sophisticated. Saving their search criteria and viewed items can give you a crucial advantage in reducing their steps to checkout when they return. You can serve them their searches or preferred products via a chatbot offering a discount, or push notifications on-site or on-app to bring them back to their previous searches. Social proof tactics are all relatively simple but are some of the most effective possible changes you can make to optimize an e-commerce process. Scarcity created a +2.9% uplift. Social proof created a +2.3% uplift. Urgency created a +1.5% uplift. Furthermore, out of all of the tactics tested, scarcity and social proof had the highest probability of creating an uplift in their experiments. Download this free report now to become a conversion king! From understanding where the customer is in their journey, to delivering personalized content, to creating fantastic digital experiences, we are investigating exactly what will drive customers towards your brand and push them over the line to make a booking. Download this completely free report now to optimize your conversion process and generate higher revenues. 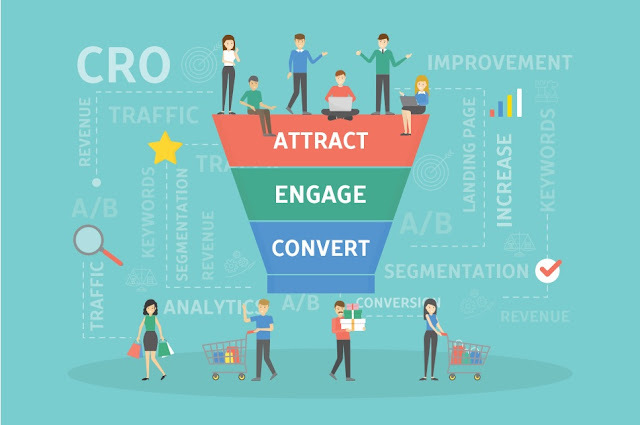 Raising conversion rates is critical, as customer acquisition can be a painfully expensive business, which worsens every time a potential shopper departs the funnel not to return. The good news is that improving this process doesn’t have to be a huge challenge. Introducing engaging, appropriate content, operating well-designed A/B tests, creating a streamlined checkout process and adding in strong social proof are all proven methods to bump up conversions but at relatively low costs. It is all about doing the basics well, and this report will help you to get those building blocks in place and create a superior digital experience. · How to measure and understand intent to purchase. · What content and marketing will drive up conversions. · How to retarget and remarket in a way that brings customers back. · How to use different channels effectively. · Why social proof is critical and how it can dramatically raise revenues. This presentation and panel discussion will be featured on Day 1 at the upcoming EyeforTravel North America 2018 Summit on Oct 18-19 in Las Vegas. Perfect your multi-channel engagement strategy and omnichannel approach - how can you continue to deliver on the guest experience on all fronts? What is the role of personalization, particularly given the consolidation in the industry? Will your marketing strategy stack up in 2018 and beyond? Click here to learn more and don’t miss your chance of what is set to be the travel event of the year! The EyeforTravel North America Summit currently holds the hottest attendee list in digital travel with brands confirmed to attend including: Expedia, Marriott, Wyndham Hotels & Resorts, Hilton Worldwide, Twitter, Cathay Pacific, Accor Hotels, Hyatt, Air Canada Vacations, Choice Hotels, Cosmopolitan Las Vegas, Booking.com, American Airlines, Lufthansa Systems, The Travel Corporation and many more! The summit will tackle topics such as the changing distribution landscape, utilizing data driven customer insights, the role of emerging technologies in travel, diversifying your revenue portfolio, and developing global partnerships. And this is just the start. Hilton Worldwide, Hoteles City Express, Royal Resorts and Castle Resorts & Hotels are among the latest brands to have confirmed their attendance at EyeforTravel’s 20th Annual North America Summit. As the attendee list grows exponentially, this year’s event is set to provide better networking opportunities than any other travel conference in the US. Aside from making valuable contacts, attendees can expect to leave with a firm grasp of the latest opportunities and threats facing the industry - with industry influencers across all areas of online travel presenting their answers to the most pressing questions. 1. Distribution - Wyndham Hotels & Resorts, VTrips and Las Vegas Sands are gearing up to evaluate how we can use the crowded field of distribution to our advantage. Find out how voice search will impact distribution and consider the role that metasearch plays in the power play between OTA dominance and driving direct sales. 2. Partnerships – Magnuson Hotels, HotelsComined.com, MGM Resorts, Spirit Airlines and Hotwire explain how you can build strategic partnerships that enhance personalization, boost revenue and drive customer loyalty. Hear from the experts about the kinds of distribution partnerships that will guarantee success, about how to pair customer insight with partnership strategies, and discover how API partnerships could improve your revenue portfolio. 3. Marketing –Marriott, MyFlightSearch, Accor Hotels, Lufthansa Systems, Melia Hotels International and Twitter join to help us rethink traditional marketing strategies. Discover the latest innovations in travel marketing, from using social media and the mobile interface to boost personalisation, to establishing loyalty through the mobile interface. 4. Data & Revenue Management – Join American Airlines, Margaritaville and Amazon as they present how their business models have been overturned using data. Discover how customer-centric revenue management and cross-selling can serve to optimize profits. 5. Travel Technology – Booking.com, Expedia, Winding Tree, United Airlines and CruiseBe.com evaluate the latest trends in travel technology and explain which ones travel brands should be investing in. From AI to Voice, the expert speaker line-up will help brands decide suitable technology for their business models. This summit is truly the only place you will be able to meet the cream of the crop in travel and walk away with insights you can action as soon as you get back to the office. Will your CX strategy stack up in 2018 and beyond? Click here to learn more and don’t miss your chance to be a part of North America’s largest travel conference on Oct 18-19!